1. How important is sleep to you as a professional athlete? Do you have a special sleep schedule? Sleep is one of the main factors in continuing to be successful. I usually get anywhere from 8-10 hours and for me its important to have an amazing mattress so I have uninterrupted sleeps. 2. How does your sleep schedule change from soccer-season to off-season? Is there ever an off-season? It doesn’t change, unless obviously I’m on vacation. I still know how important my sleep is even in the off-season because I am still training. 3. In an interview with Hello! Canada, you mentioned that you are a dog lover. Do you let your pets sleep in your bed? Of course, well I don’t really have a choice. 4. Would you consider yourself as more of a jock or girly girl? Cleats or heels? Both, I love getting done up but I also love being an athlete. If you're asking if I wear sweats to the mall… ha no, but I love all the girly things, like fashion and makeup. COFFEE COFFEE COFFEE. Ha oh and did I say coffee? 6. What is the last thing you do before going to sleep? 7. How do you like your coffee? Black coffee with a splash of cream. 8. What is your favorite Canadian brunch spot? To be honest I don’t have a favorite but I love coffee from Tim Horton's. 9. You have a killer body. Aside from training, what is your go-to workout routine? Honestly its all from sleeping and a proper diet as well with my training. I think its so important to do all three. 10. 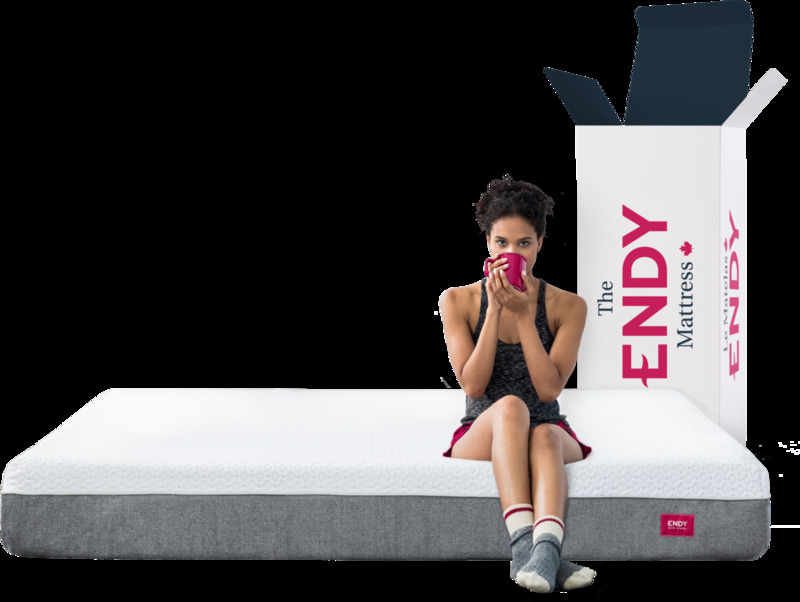 How do you like your Endy Sleep mattress? Has it helped you sleep better?